Children who stutter may fly under the radar, appearing shy and quiet. Starting school can be daunting for any child. Often it is the first excursion into the world without parent contact. The teacher is a new person in the child’s life, who, among many other things, is a daytime caregiver. For a child who stutters, the school years can be a wonderfully supportive experience. However, those years can be a time when it is particularly difficult to deal with this speech disorder. Stuttering is being momentarily unable to move forward when talking. When this happens the speaker repeats words and syllables, gets stuck completely on a word, or both, and often visibly struggles. Stuttering begins when children are at pre-school age, most commonly when they are around three. The cause of stuttering is not fully understood yet, but researchers know that it is a physical problem with combining all the rapid movements needed for speech. Stuttering runs in families and, although it is genetic the details about exactly which genes are affected are not yet fully clear. Children who stutter face unique challenges at school. They may experience social difficulties, with research showing more than half of them are teased or bullied regularly. Children who stutter may also be rated as less popular than their classmates. Some of them may fly under the radar, appearing shy and quiet. Teachers may not even be aware that they have a child who stutters in their class, let alone that this child may be anxious. Some children who stutter may avoid speaking in class or sit at the back of the classroom to avoid being noticed. They may be especially sensitive to evaluation by teachers or peers, and may answer “I don’t know” because they’re afraid of stuttering. They might learn to avoid difficult words or opportunities to speak, instead using gestures and short sentences to communicate, or they may allow other children to talk for them. For these children, simple classroom tasks like reading out loud, presenting news, or asking the teacher a question can be a source of anxiety and embarrassment. Not surprisingly, it is common for teenagers and adults affected by stuttering to experience social anxiety about speaking, often to the point of having a diagnosable mental health problem. It is known that these problems have well and truly started to incubate during the school years. Because of this, children who stutter may not participate properly in class and may not do as well as they should. What can make it worse is that school-age children who stutter often are targeted for bullying by other children. 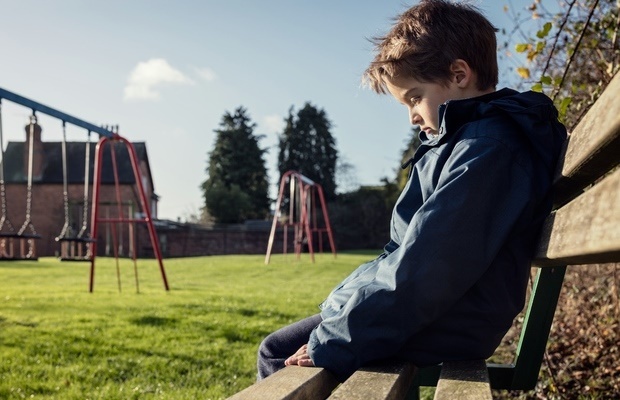 It is known that bullying during the school years is associated with anxiety later in life so bullying can be a problem for any child, but much more so for a child at school who stutters and who might be starting to develop anxiety problems. When a child who stutters is starting school, it is important for everyone to make sure the child feels safe and comfortable in the classroom. This requires the help of parents, the teacher, the school principal, and the child’s speech pathologist. Working together and being on the same page, they can make sure things go well for the child starting school with a stutter. For some children who stutter, it might help if the other children know about stuttering and what problems it causes. But for other children who stutter, any mention of it to peers might make the problem much worse. An excellent video is available that can assist parents and teachers to know how to help the school child with stuttering. The golden rule here is to sit down and find out how the child wants to be helped to deal with stuttering in the classroom. Many children who stutter will be just fine, but for many others this will be a useful conversation. The other commonsense approach here is for the teacher to discuss with the child about talking aloud in the class. Obviously, it will not help overall if the teacher never asks a child who stutters to speak during class. But most children will be more comfortable with a number of alternatives to choose from, such as always being chosen to speak in some particular order from among classmates. Finally, treatment for stuttering is really important. With support from parents and teachers, and treatment with an experienced speech pathologist (teachers need to check that this is happening), children who stutter have the opportunity to realise their potential. Do you think children with speech impediments such as stuttering are more prone to bullying at school? Send us your stories to chatback@parent24.com We might publish your response. Inbox us should you wish to stay anonymous.